Yesterday I wrote about our football snacks. 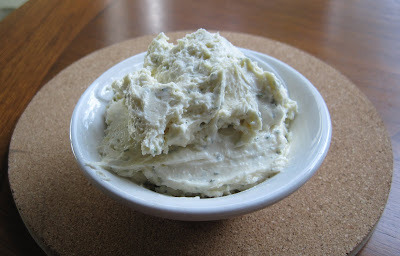 One of our snacks was Cheddar Ale Spread, a recipe from Brown Eyed Baker. 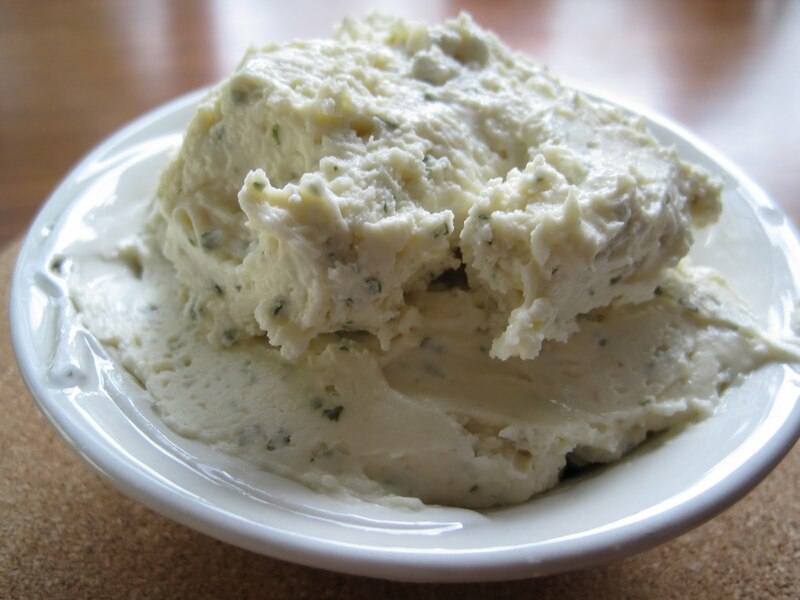 I had seen this recipe on her blog a while ago, and in the time since I first saw it and went 'mmmm yum must make,' she's posted it in several posts related to football/tailgating goodies, dips, fall recipes, etc. The point is, I've been reminded of this recipe, unlike my ripped out Bon Appetit recipes which get clipped and filed and then forgotten about, for the most part, until I flip through the binders of clipped recipes. So I did what I always do when I want to make something: I emailed the recipe link to SP and commented that it sounded like a yummy football snack. He agreed that it sounded yummy, so we decided to make it. The 'hardest' part of this recipe is grating the cheddar cheese, but really, that part is a snap if you make the spread in a food processor. We used the food processor grating attachment to grate the cheese. 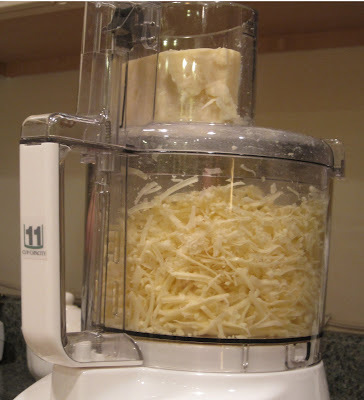 You could buy shredded cheese, but if you're going to make the spread in the food processor anyway, you may as well shred your own cheese. If you don't have a food processor, you could buy shredded cheese and combine everything with a hand mixer (that's what I would have done in college/grad school, when kitchen gadgets & appliances were lacking!). After grating, we emptied out the food processor bowl, actually measured out the correct amount of grated cheese, and set the leftover grated cheddar aside for another use. Then we processed together the grated cheddar, cream cheese, mustard, cream, beer and parsley. We used one of SP's Blue Moon Seasonal Harvest Moon Pumpkin beers. We omitted the salt. We cheated with the parsley. I still feel guilty. We have 2 pots of fresh parsley out on the deck, but we made the dip Saturday night, during the rain, and we were too lazy, I guess, to go out on the deck in the rain to get fresh parsley. So we used dried parsley. Here's what it looked like Saturday night, right after we made it and plopped it into a plastic container: The lighting in the kitchen isn't so great at night. That photo doesn't really make it look mouth-watering & yummy. We each sampled it Saturday night and really liked it. 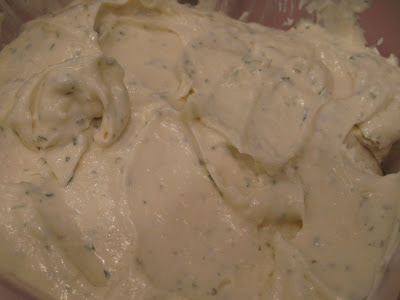 Like most spreads/dips, it tasted even better on Sunday after everything had a chance to sort of mellow and fuse together. The spread has a delicious tang to it -- there's a terrific mustard taste, but not too strong, and a nice beer taste, but not too strong. Just enough of each to make you think, mmm what is that, I must have another bite to figure out what that flavor is. Cheddar Ale Spread on the kitchen table, in the morning light: I was really tempted at 9 am to eat some dip for breakfast today, but I controlled myself. It's that yummy!